Starring: Andrew Garfield, Richard Pyros, Jacob Pinnick, Milo Gibson, Hugo Weaving, Rachel Griffiths, Teresa Palmer, and more. I am a little late on my viewing of ‘Hacksaw Ridge’ than I would have preferred but my oh my, this is one for the year. I even usually avoid doing reviews for movies that have been out for two weeks or longer unless they are requested but ‘Hacksaw Ridge’ was such a riveting film to me that I feel it should rightfully be reviewed. Also, I have a feeling we will be revisiting ‘Hacksaw Ridge’ in the nearby future… *cough cough, Oscars, cough cough*… Sorry, I am coming off of a nagging throat illness… Let us begin, shall we? ‘Hacksaw Ridge’ is based off the true story of Desmond Doss (Andrew Garfield) who served the United States Army as a medic. He served his country in World War II by not only saving lives as a medic, but he also stayed true to his convictions in his service to the Lord, and kept true to being non-violent by never using a firearm to take another human life. Although his beliefs seem righteous and good-hearted, he faced tribulations of great severity. From start to finish, ‘Hacksaw Ridge’ practically demands attention. From the early phases of backstory and developing the “who is Desmond Doss?” answer, to the 100 mile an hour action sequences. ‘Hacksaw Ridge’ leaves its audience in awe at what is occurring on screen, and as previously stated before; this is a film to see for the year… Andrew Garfield does such a phenomenal job at portraying the kind-hearted Desmond Doss. In an environment filled with rough and tough characters and an enemy with nothing but bad intentions, Garfield creates a loving and heart warming character that you can not help but smile at… The battle scenes were incredible. From the very start, my jaw was floored and I could not take my eyes off the screen. It was just a constant barrage of chaotic action. 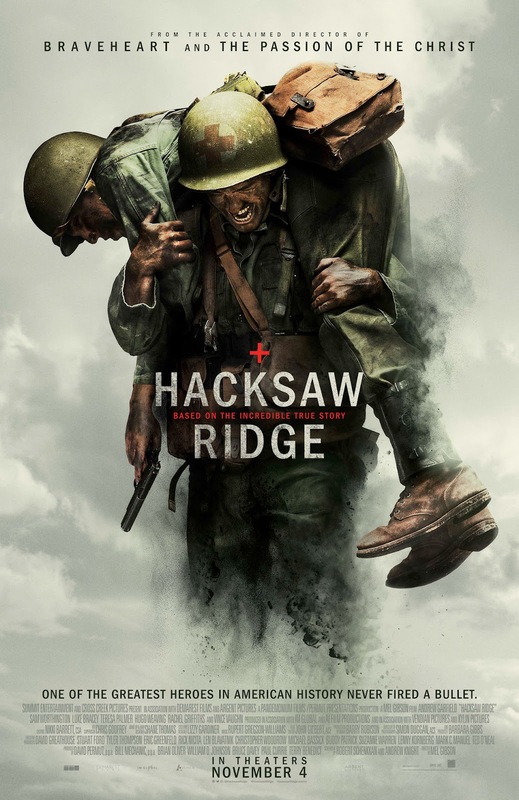 Quite possibly one of my favorite aspects of this film due to the sheer intensity of the action portrayed… Lastly, I was very impressed by how Mel Gibson and company took true accounts said by Desmond Doss himself and inputted them into the film. Without spoils, this was very pleasing to watch as it happened. As my nagging cough hinted to earlier, I thoroughly think this may have some Oscar nods coming its way soon. Myself and some of my fellow film fans believe this too. One big recommendation by Oberrated to see ‘Hacksaw Ridge’ before it heads out of theaters and if not, definitely catch it upon its digital and physical copy release. From the director chair, to the artists in motions, to behind-the-scenes players, this whole product was quite the piece of entertainment. Posted in 2016 Movies, Movie Review, The Oscars, Uncategorized.